Apishal is a poor, non-agricultural and nonindustrial world. It is a non-agricultural, non-industrial world. Diameter: 6,000 miles (9,600 km). Gravity: 0.70g. Apishal is a poor, non-agricultural, non-industrial world located in Dingir Subsector of the Solamani Rim. The system is a member of the Imperium. 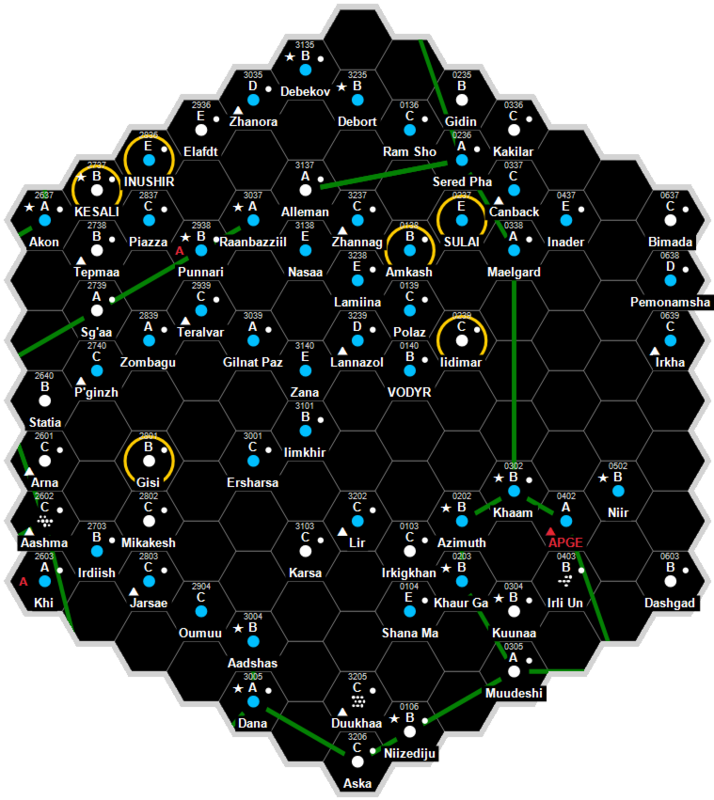 During the Fifth Interstellar War the Terrans unexpectedly drove into Dingir subsector, taking Apishal and Zaggisi (Solomani Rim 1523) in -2346, thereby establishing a strong defensive position. This page was last modified on 3 November 2015, at 09:48.